We are developing a precision engineered range of Single-Point Scale Centrifuge Machine in various specifications for extensive use in diverse industries. The machine is duly fabricated in compliance with international quality standards by utilizing A-grade rubber, stainless steel and carbon steel. 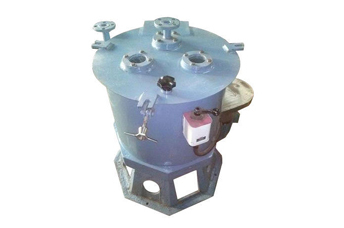 With the support of Single-Point Scale Centrifuge Machine, the machine helps in raising the bucket and cake, manually. This highly economical and easy to operate the machine is being used in food, sugar, textile, oil refinery and various other industries.